“Elizabeth Hein’s OVERLOOK is a hilarious debut novel, a cross between Desperate Housewives, Devious Maids, and Mistresses—as the dirty secrets of this southern North Carolina suburban neighborhood are deliciously exposed. 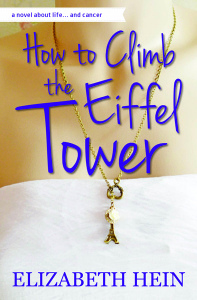 Having recently read an ARC of Hein’s upcoming “How to Climb the Eiffel Tower”, coming Oct 1, 2014 (a must 5 star read, highly recommend), I fell in love with the author’s razor sharp wit, and immediately purchased OVERLOOK. In the fictitious town of Magnuson, NC in the seventies—Overlook is a lakeside pristine upper-end three-hundred home community, a country club setting of swim, tennis, golf, boating with a mixture of families—busy wives and mothers, gossip, nosy maids, homemakers, career women, gardening, clubs, runners, cyclists, swimmers, joggers, young children and teens, cheating husbands, food binges, Lily Pulitzer dresses, Krispy Kreme donuts, fried chicken, bake sales, wine drinkers, cocktails, drugs, PTA, real estate agents, mistresses, and those nearing empty nester status. (The Overlook moms are otherwise known as The Lookers if you are a part of Stacia’s inter-circle). Of course, behind every southern upper crust family, there is greed, backstabbing, betrayal, jealousy, revenge, infidelity, drugs, cover up, disloyalty, hate, and hypocrisy. Kitty, age 43, is married to Seth, VP of a Golf company (a marriage out of a pregnancy years ago), basically going through the motions. Mother of two, Bobby and Becky, and a busy homemaker (later in the book a career mom) and a cool sister, Rose. Seth has never been faithful; however, Kitty has looked the other way, doing her own thing, until she finds herself with STD (gonorrhea). It does not take long for this small community of women to spread the word of this nasty little development. (Loved “hope your pecker falls off” and “it’s kinda like screwing a skeleton”). Her friend Stacia Tate, influential Tate family (inter-racial) married to the real estate developer (Curran Construction) for the prestigious community, has a thumb on everything and everyone in Overlook. After all, it was her family who developed this oasis which is now Overlook. Partners in crime, these two tackle all the challenges of motherhood and their wifely duties, while keeping one step ahead of the gossip. A comic Southern novel about all the important things in life: marriage and divorce, friendship and betrayal, and small-town secrets. Full of laughs, with true-to-life characters, and hilarious one liners which will keep you laughing out loud as these southern belles find themselves in all sorts of mischief. 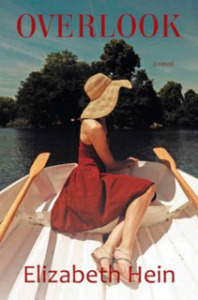 Hein reminds me of a cross between sassy Southern writer, Mary Kay Andrews, Susan Rebecca White, Emily Giffin, and sarcastic and witty, Jennifer Weiner. OVERLOOK is an engaging and scandalous comedy-drama chick-lit, filled with humor and sass, and a juicy sequel ESCAPE PLAN, coming (Fall, 2014), after the surprise and shocking ending.